It was a perfect trip in every possible way. Your partnership with Mountain Lodge is genius! The opportunity to avoid the hordes of people who hike the Inca Trail at the same time exploring the magnificent Vilcabamba Range and in the shadow of Salkantay and Humantay Peaks is precious!! We bonded as a group, we were inspired and cared for by David and we were well fed and instructed by the staff of mountain lodges! All in all, a trip of a lifetime. 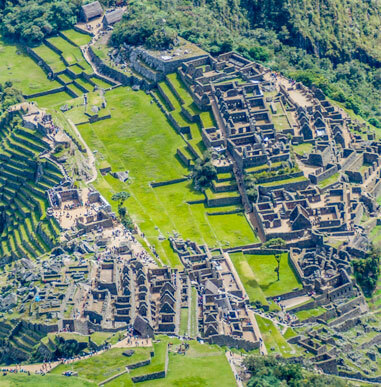 Our six day trek leads us through remote river valleys and over a 15,000 ft pass to our final destination, Machu Picchu, the lost city of the Incas and one of the New 7 Wonders of the Ancient World. As we cross these different eco systems we meet the indigenous people and explore their unique way of life. Our route traverses the snow covered Cordillera Vilcabamba Range and we walk beneath its highest mountain, Mt Salkantay (20,600ft) the 2nd most sacred mountain in Inca mythology. Besides the Peruvian people and the incredible views, our trek is exceptional because we dine and sleep in luxury lodges along the entire route. Three of the four lodges accommodate only 12 people, all lodges have incredible views and we have the hot tubs and chefs to ourselves. 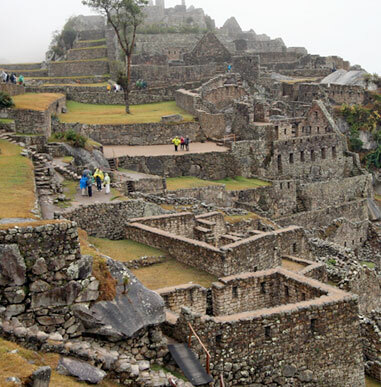 Alpine Ascents also adds a 2nd day to visit the legendary ruins of Macchu Picchu. Not only does this allow us two full days but since most groups only have a day, it gives us the afternoon of the first day to explore the area in an uncrowded environment. 11,200 ft, where we spend one day and two nights acclimatizing and touring this beautiful city. We then travel by car to the beginning of our trek, the enchanting valley of Soraypampa, – this trekking route is less traveled, and far more scenic than the famous “Inca Trail”. Trekkers spend two nights in the Salkantay Lodge and one night each at three other lodges located at strategic points along the route. At the end of the sixth day we reach a train that takes us up to Aguas Calientes where we stay in a beautiful hotel for the night. The next day we spend the entire morning and early afternoon exploring Macchu Picchu before returning to Cusco. Trek through fifteen different bio-zones, changing altitudes and varied terrain. Your trip is led by a professional mountain guide along with local experts. Marvel at the exquisite beauty of the Salkantay Peak, Salkantay Glacier and Humantay Glacier Lake. Share in the culture and customs of local Andean families who maintain age-old traditions. Witness environmental and social initiatives to maintain the natural integrity and improve quality of life in the region. Indulge in the comfort of enchanting mountain lodges, the innovative local cuisine, the warmth of the people, and your daily retreat to a mind-and-body recovery Shangri-La. 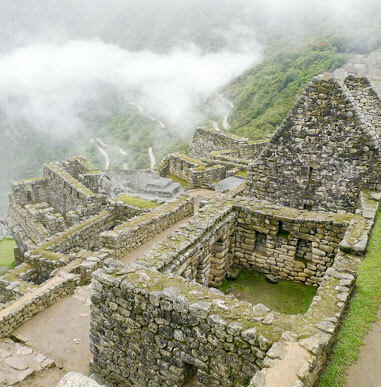 Be inspired by the majesty of your surroundings and the knowledge that you are following in the footsteps of the Incas.